One of a common requirement now a days is to apply customized branding and look to any site. With businesses growing daily there is significant use of this. 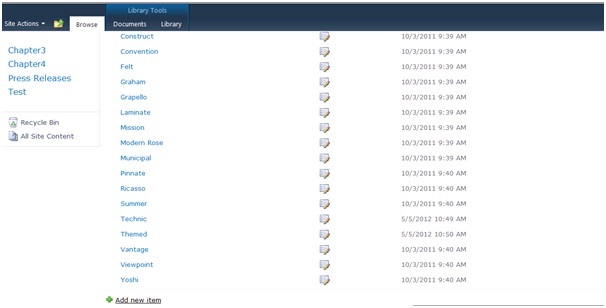 The process of changing themes in Sharepoint 2010 is much simpler than that of 2007. Now you can create your themes in other office suites like powerpoint and can apply the same here in sharepoint. These themes are created with .thmx extension and can be uploaded to your site before use. In this we will use an existing theme from Powerpoint 2010 in our site. Once you have designed the theme save it. It will be saved in .thmx extension. Click on Add new item and upload your saved .thmx file. Now go to your site settings and under look and feel click on themes and apply your created one.